***Repress - black VINYL Edition !!! 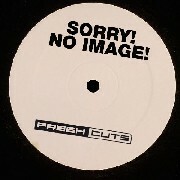 *** No black vinyl - only green vinyl .... MISTABISHI - "PRINTER JAM" (BARBARIX REMIX)/ "WHITE COLLAR GRIME" - Hospital goes DUBSTEP !!! After the massive success of the incredible debut album Drop, the Mistabishi story continues with this stonking bass heavy dubstep remix from shooting star Barbarix. With over one million hits on YouTube for the original, and being Colin Murrays record of the week on Radio One the demand for a vinyl release on this remix has been phenomenal. Hearing Mistabishis cranky dnb original, young dubstep upstart Barbarix couldnt resist taking the twisted Epson work out into his studio and outputting his own printquality vinyl ready dubstep version. Making its way into the hands of Radio Ones deadly duo Nerm & Dcode the remix was brought to the attention of the Hospital crew who duly got on the blower to Barbarix to make it official. Just like the original tune, this remix has developed a life of its own, and even though it sets out its stall at around the 140bpm mark, its still been finding its way into the sets of some of the biggest d&b DJs around - inlcluding smashing the dancefloor to bits at Hospital�s Matter residency. Making up the full 12 inches comes White Collar Grime on the flip. A sonic dirty protest against the day to day grind of the city, and quite simply the ruffest dubstep skank from the Drop CD.